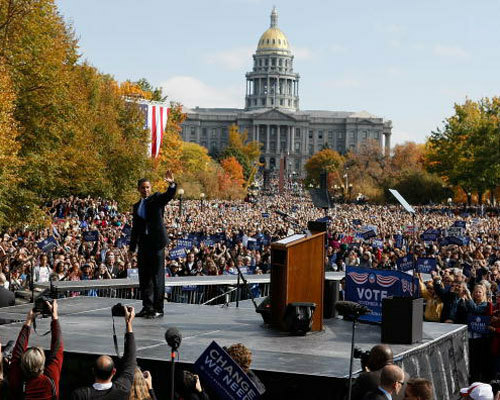 The Obama campaign released an initial crowd estimate of 75,000 people. 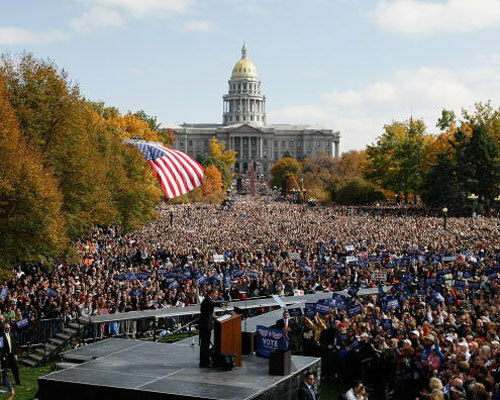 That was later upgraded to "well over" 100,00 people, a tally confirmed by a Denver police spokesman. 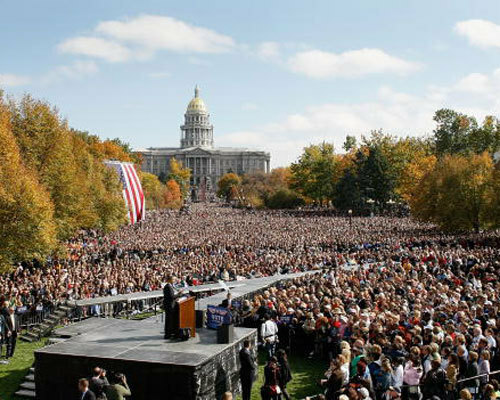 The setting, on a sparkling day in this battleground state, said perhaps more than Obama did in his actual speech. 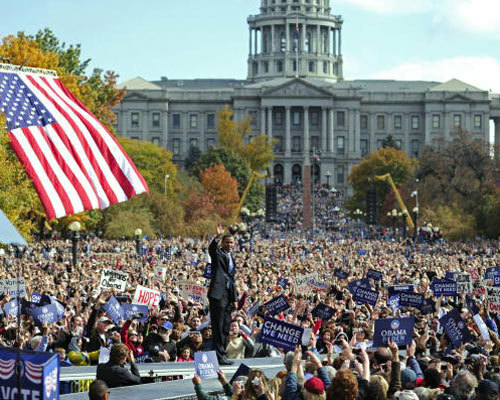 His campaign is capitalizing on the scope of such rallies to get people to cast votes early, permitted in Colorado and more than two dozen other states. 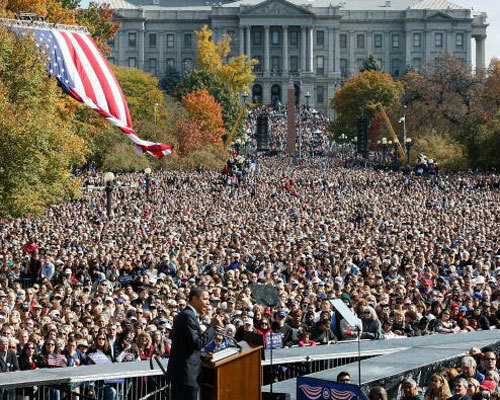 Below are some great photos of the event, courtesy of Getty.